PALMDALE, CALIF. –January 8, 2019 – Delta Scientific, the leading manufacturer of counter-terrorist vehicle control systems used in the United States and internationally, today announced its new DSC1500 portable beam barricade that sets up quickly and temporarily to block vehicles. 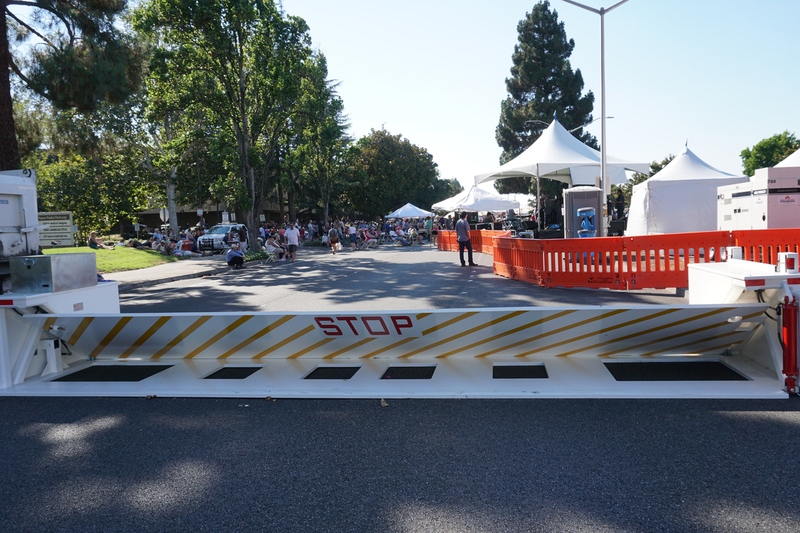 The new portable barricade secures locations during short-term events and anywhere a beam barricade is needed for interim security. With a clear opening of 16 feet (4.8 m), the DSC1500 is M30 certified, able to stop a 15,000 pound (66.7 kN) vehicle going 30 mph (48 kph). "Many organizations have the need for easy to install, temporary drop-arm barriers that can install within 10 minutes to transitorily close down a roadway to one or two lanes or block parking lot exits to deter thefts," emphasizes Greg Hamm, Delta Scientific vice president, marketing. "Previous beam barriers had to be filled with sand, gravel or cement to be operable. To remove the DSC1500 from its temporary site, it is simply repacked in ten (10) minutes." "From a purchasing standpoint, it can be easier to buy portable beam barricades than permanent solutions," adds Hamm. "The latter are oftentimes placed into an organization’s real assets budget because they are permanently installed into the ground, becoming part of the property. Such budgets can often create complex purchasing scenarios for law enforcement or public safety departments. However, purchasing portable beam barricades is no different than buying protective vests for personnel or new sets of wrenches for the maintenance department."